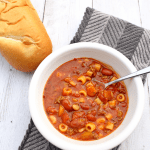 Instant Pot tomato basil soup is a delicious and healthy vegetarian soup! It’s made with canned tomatoes and a secret ingredient to make it extra tasty! Growing up, tomato soup was one of my favorite cold-day comfort foods. Granted, our tomato soup always came from a can, but I still loved it. Especially with a grilled cheese sandwich! I’m not sure what it is about the simple flavors of tomato soup that just make you feel warm and cozy, but it’s true. 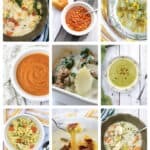 As an adult, I’ve found that I prefer homemade soups to the condensed, canned versions I grew up with. They’re usually much better for you (way less sodium! ), they’re usually way less expensive, AND they are so much more flavorful! 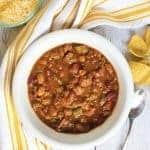 Want more frugal Instant Pot recipes? 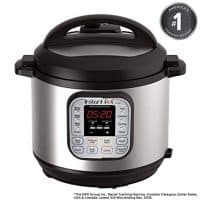 Check out this list of cheap and easy Instant Pot recipes for dinner! This tomato soup is no exception. 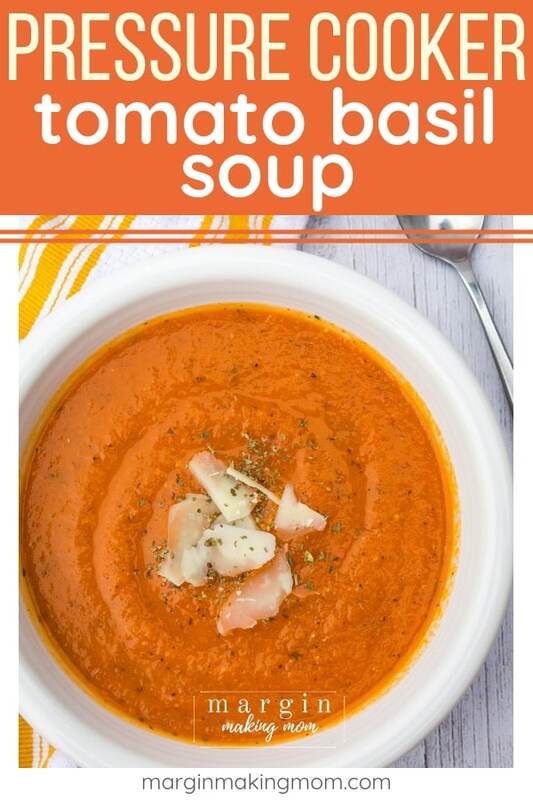 I have tried making several varieties of homemade tomato basil soup before, but I found them all lacking. None of them were perfect. This, my friends, is what I consider to be the best homemade tomato basil soup, and it’s made in the Instant Pot! You know that means it’s quick and easy, which is always a win in my book! First of all, one of the beautiful things about this soup is that it starts with canned tomatoes. Easy peasy. 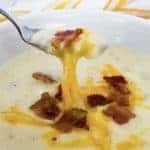 Not only that, there’s a secret ingredient in this recipe that makes a big difference. That ingredient? Frozen butternut squash. 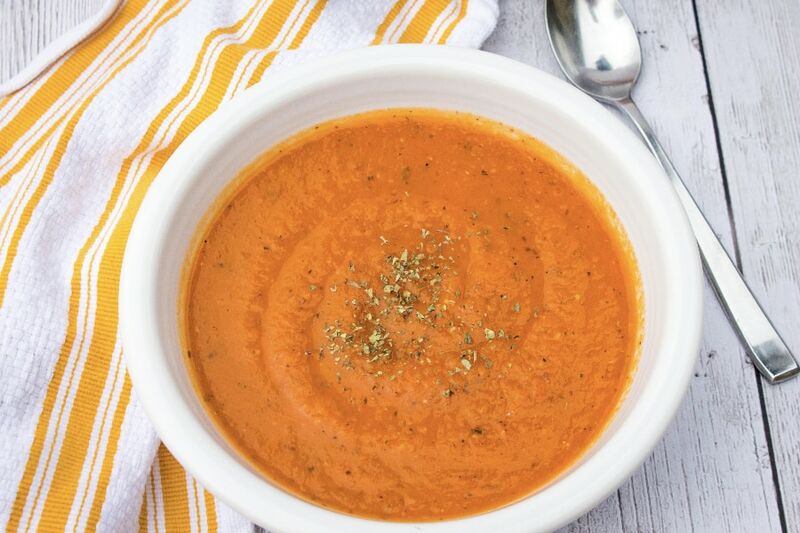 I know, I know, it seems a little bizarre to put squash into tomato soup, but it adds depth of flavor and a little bit of creaminess (plus lots of good-for-you nutrients!). I got the idea from Detoxinista, who used pumpkin puree in her tomato soup. 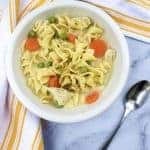 You’ll also appreciate that this soup is really inexpensive to make. I got a 10-oz bag of frozen butternut squash at my local grocery store for a couple of dollars, and canned tomatoes are inexpensive, too! 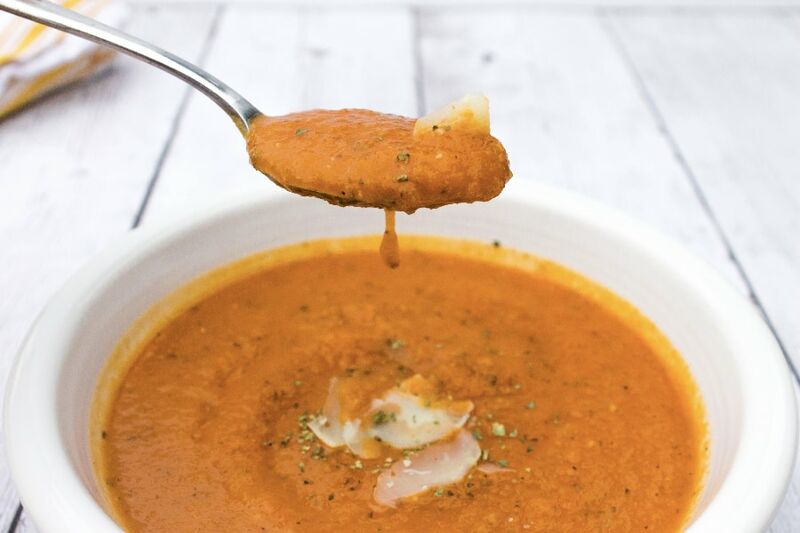 Plus, the end result is a tasty, creamy tomato basil soup that pairs perfectly with crusty bread, homemade dinner rolls, or grilled cheese! 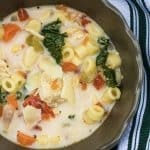 It may seem too easy to use canned tomatoes in this Instant Pot soup, but it really does work well! No need to chop, peel, dice, strain, or roast tomatoes on your own. I do recommend using good-quality canned tomatoes, since they are a central ingredient to this soup. 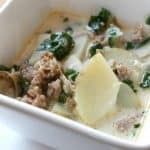 To start making the soup, you’ll add some olive oil to the insert pot of the Instant Pot. Use the Saute function to heat the oil, then add some diced onions. Cook those for a few minutes, stirring occasionally, until the onions begin to soften and turn translucent. Press the Cancel button to turn off the Saute function. Add in some minced garlic and stir it around for a minute until it becomes nice and fragrant. Next, add in the butternut squash, tomatoes (don’t drain them! ), water, basil, sugar, salt, and pepper. Stir everything to combine and twist the lid into place, setting the vent to the sealed position. Use the Manual/Pressure Cook setting to select an 8 minute cook time at high pressure. After the cook time is complete, allow a 10 minute natural release, followed by a quick release of remaining pressure. Once the pressure has released and the valve has dropped, carefully remove the lid. 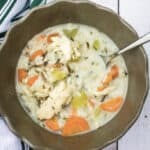 Use an immersion blender to blend the soup to your desired consistency. Then, if you’re using the cream, go ahead and stir it in now. Add salt and pepper to taste, and that’s it! 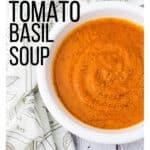 Delicious Instant Pot tomato basil soup! 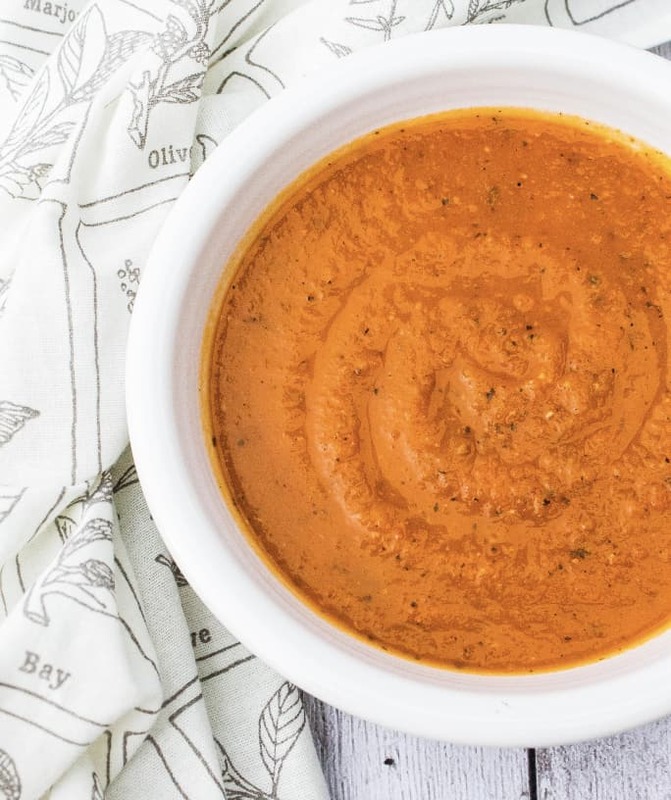 Need to Make Your Instant Pot Tomato Soup Dairy-Free? The addition of the cream at the end is totally optional. I like the extra creaminess it gives, but the soup is still delicious without it. So feel free to leave it out. 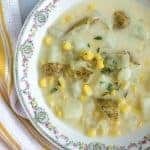 You could also try adding a bit of canned coconut milk to the soup instead, if you want the extra creaminess without using dairy. As mentioned above, feel free to omit the cream or use canned coconut milk instead. I used an immersion blender, but if you don’t have one, you can very carefully blend small batches in a regular blender. If you don’t have an Instant Pot, you can simmer the ingredients in a pot on the stove until the squash is tender. I have not personally tried using pumpkin puree, but I would think it would work fine as a substitution for the butternut squash. I’d recommend using 1 cup of puree in lieu of the squash. 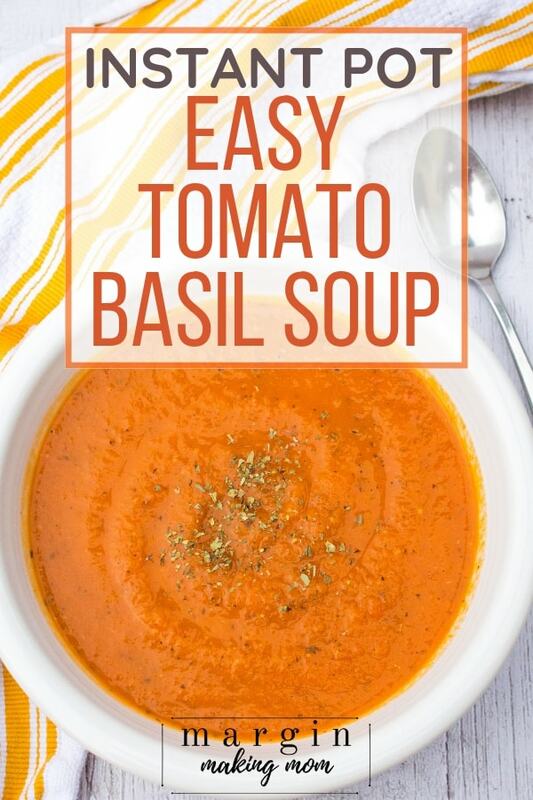 Instant Pot tomato basil soup is a delicious and healthy vegetarian soup! It's made with canned tomatoes and a secret ingredient to make it extra tasty! In the insert pot of the Instant Pot, add olive oil. Use the Saute function to heat the oil. Add the onions and stir often, cooking for 3-5 minutes until they start to soften and turn translucent. Turn off the Saute function (press Cancel). Add garlic and stir, cooking for about 1 minute, until it becomes fragrant. Add the frozen squash, tomatoes, basil, salt, pepper, sugar, and water to the insert pot and stir to combine. Twist the lid into place and set the vent to the sealed position. Use the Manual/Pressure Cook setting to select an 8 minute cook time at high pressure. Once the cook time is complete, allow a 10 minute natural release before performing a quick release of remaining pressure. When the pressure has released and the valve has dropped, carefully remove the lid. 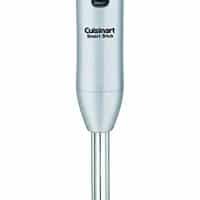 Use an immersion blender to puree the soup to your desired texture. Stir in the heavy cream, if using. Feel free to omit the cream or use canned coconut milk instead. 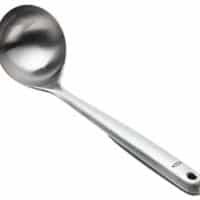 I used an immersion blender, but if you don't have one, you can very carefully blend small batches in a regular blender. If you don't have an Instant Pot, you can simmer the ingredients in a pot on the stove until the squash is tender. 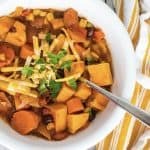 I have not personally tried using pumpkin puree, but I would think it would work fine as a substitution for the butternut squash. I'd recommend using 1 cup of puree in lieu of the squash.